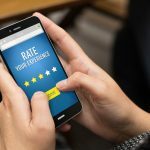 As online reviews grow exceedingly popular on platforms like Google, Yelp, Facebook, etc., and play a role in the customer purchase decisions, the topic about negative reviews can be a sensitive one for business owners. 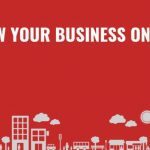 Due to the fact that businesses want to control their online reputation and that online reviews are becoming increasingly popular for customers, more and more companies keep a conscious eye of their online profiles. This is one of the most important issues to improve for your company. If a customer had complained about their experience with your product or service, chances are it will happen again. 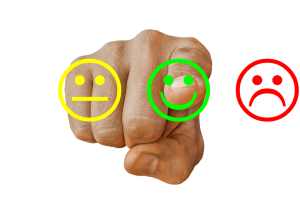 Whether it’s fixing the bugs with your product or improving your customer care policy, this won’t only help to prevent negative reviews in the future but can actually increase sales as a result of higher customer satisfaction. The biggest problem that companies face is identifying the issues with themselves. If you put yourself in your customers’ shoes, you might be able to get a few ideas. How would you feel about the experience you received and would you share it with friends and family? Even if you think the service or product you provide is good, consider going above and beyond in order to stand out from your competitors. Think about the investment you’re making in order to improve your reputation and increase future sales. Most people understand that there is a “crazy customer” or those that just can’t be pleased, but one person can still tarnish the company reputation. Before trying to convince potential customers otherwise, the first step is to fix any and all issues internally. As soon as you see the negative review, contact the customer immediately to try to fix the problem. While not always possible for some companies, a negative review can be seen as an opportunity to show that you care about customers. Or if you weren’t able to turn around the experience, simply showing your desire to fix the problem is better than ignoring the review. In the situation of a cruise company, one of their customers had a bad experience about the food and service. Shortly after reading the review, the company had contacted that person directly and apologized about their experience, saying that was abnormal. The company had made up for the experience by buying them dinner the following night. The customer took the offer and gladly complimented the business. As a result, the cruise company was able to make up for the bad experience, save their reputation, and even get a positive review for it. 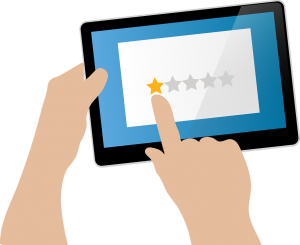 From Google: Reviews from your customers can provide valuable feedback for your business, and replying to reviews can help build your customers’ trust. Tips for responding to reviews. Only the customer and the online review platform have the power to take down or edit their review. So you will need to be careful when and how you ask them to remove the review. For example, if they are not happy with their second experience or even if they continue to criticize your business after you had done everything you can to fix the issue, it’s best to leave the situation alone. While silence after turning around their experience may not always work, there are plenty of cases where it had. Wait for the right moment to ask or remind the customer to remove the review. Many companies are able to turn around a bad experience, but not every company is able to do it. If the service was “time-based” that can’t be reproduced, the product is no longer available, or even if you can’t afford to replace the product, it can feel like there’s not much you can do. In this instance, try to acknowledge the problem, apologizing for their bad experience, and promising to make their next experience a better one. But whatever you do, never fire back at them with negativity as it will always make things worse. When writing your response, always be pleasant, honest, self-effacing, or at the very least, neutral. In most cases, expressing yourself this way will help them to cool down a bit. You will also have shown that you respect them by acknowledging the problem, which in turn can also show future customers that you care and pay attention to their experiences. Some sites may not even provide the option to respond to specific reviews, but you might be able to contact that customer directly, sending them an apology for their experience through either a physical letter or even a Facebook message (just make sure it’s appropriate). While there are hundreds of places on the web to leave reviews, stick to those that are well-regarded and professional – such as Yelp, BBB, Google, etc. If there are unfair reviews or ones that violate the websites terms or conditions, you can have them removed. Some cases involve the customer going to extreme or they violated the policy, such as competitors or revengeful ex-employees posting the review. If you are able to distinguish a review as unfair, just contact the website or flag it as inappropriate. There have been instances where a customer had posted a review that was harassing, offensive, and used racist language against a franchise. As soon as it was flagged as inappropriate, it disappeared in less than 24 hours. If you have found yourself in the situation of dealing with a false or offensive review, read the website’s policies and terms. If it’s not allowed, contact the site directly or use their tools to flag the review to be removed. At any point in time, businesses can expect negative reviews. But as long as the general rating on your profile is high, there shouldn’t be too much to worry about. In fact, if a business only has 5-star reviews, some customers may think they’re false. But a few negative reviews here and there can make your company seem more “normal” and even trustworthy, especially if you have responded nicely to all reviews – negative and positive. Most customers will be able to distinguish the crazy reviews from those that are reasonable. As long as they can see that you are trying your best when serving them and have positive reviews to show it, the few negative reviews will have little to no damage. 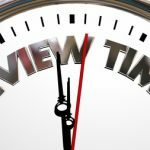 If you can’t get good reviews on a particular site, try to leverage other review sites in order to push down the rankings of the negative review site. To achieve that you might need help with search engine optimization (SEO). One way to start this process is by linking the positive review sites to your own site, and posting positive reviews on your site and social media accounts. Even if you don’t have much of a presence on social media or online in general, you can help your cause by starting now. Fill out your online business profiles with videos, pictures, and good reviews in order to improve your presence on other sites and push down the bad review site. Remember that a negative review reflects on your business reputation, take action and respond promptly, use it as a learning experience to see areas in which your business can improve as well as an opportunity to turn the bad customer experience around. 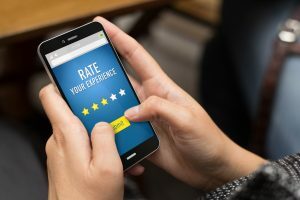 Responding to online reviews is a great way to save the company’s reputation online, but responses must be drafted properly and professionally. If you have found one or multiple negative reviews on your profile(s) and aren’t sure how to respond or even what to do, feel free to reach out to our digital marketing professionals. Our experts at Proceed Innovative are well-versed in online review platforms, making timely updates and suggesting professional responses for negative reviews. We can also help you encourage happy customers to post positive reviews. Our online marketing knowledge and experience can help you to rebuild your online reputation while improving your online presence, giving you the opportunity to increase customer satisfaction while driving revenue. For more information on how we can help respond to negative and encourage positive reviews, contact Proceed Innovative at (800) 933-2402. We look forward to hearing from you!